What, really, is news? According to one definition, it is “newly received or noteworthy information, especially about recent or important events.” But the question is, important to whom? The news media themselves are owned by corporations, many of which have entertainment divisions. So suddenly, one finds the latest Game of Thrones episode is newsworthy. Is it perhaps that the news medium is owned by the same corporation that creates Game of Thrones. There is a close relationship between sponsored content and clickbait: The act of suckering you into clicking by promising you a lot more than will ever be delivered. The classical attempt sends you to a long video which doesn’t get to the point for up to twenty minutes, if it ever does. None of the above refers to a newsworthy event. All are attempts to get you to buy into a product or service. 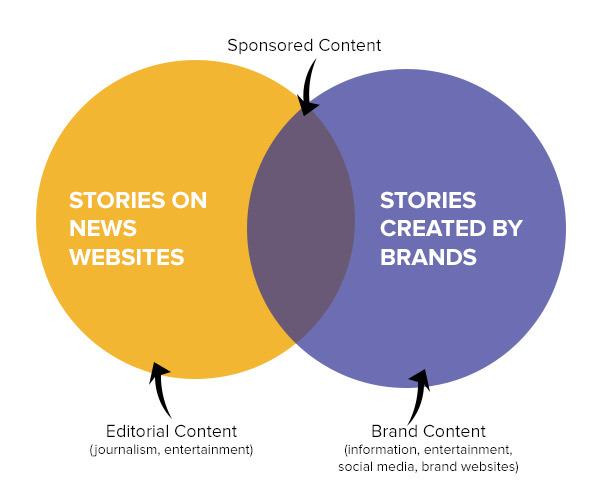 When sponsored content is interspersed with real news stories, the hope is that you will be more interested in what is being marketed. One easy way to tell the difference is that real news tends to make one feel nauseated, whereas sponsored content merely makes one feel uneasy for missing out on a good deal. This entry was posted in internet and tagged advertising, clickbait, news. Bookmark the permalink. If it says sponsored, I automatically ignore it. Somebody is trying to sell me something.